Day six of National Craft Month is in the past but I’m hoping we’re all crocheting that beautiful dress! The Here Comes The Sun Dress is a perfect beach dress for the warm weather that is headed our way (I hope!). Our friends at Simplicity provided the knitting and crochet supplies pack prize. It’s the perfect prize for someone who wants to build up their supplies to help the crochet or knit new and exciting things. Even if you didn’t win today, keep entering to win our grand prize and stay tuned for more great prizes every week! We asked: Which is better: knitting or crochet? Why? Congratulations Diane, who replied, “I like to crochet but I’m learning how to knit. I like doing both.” We’re excited you’re learning how to knit! Enjoy this prize and keep on crocheting and knitting! You can find yesterday’s Here Comes the Sun Crochet Dress in our free eBook, 18 Projects Every Crafter Wants. 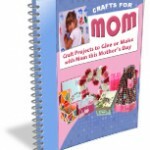 Today’s day six in our month long National Craft Month Giveaway. Come visit our blog every day to enter to win a different prize of the day. Find the contest rules and enter below. Today’s featured project is from Simplicity. Nothing will get you more ready for summer than this Here Comes the Sun Crochet Dress. It’s a fun crochet pattern that’s a must-have for every stylish woman this summer. 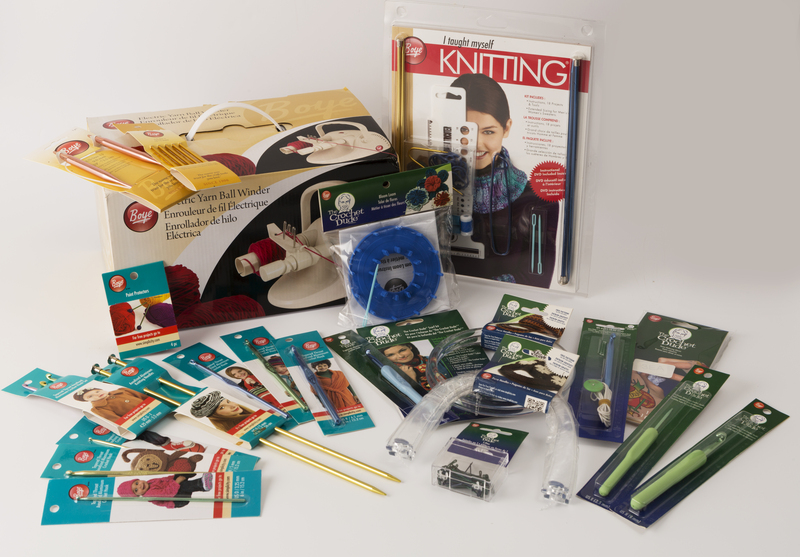 Today’s prize is a knitting and crochet supplies pack from Simplicity. Included in the pack is: Yarn Ball Winder, I Taught Myself Knitting Kit, Assorted Crochet Hooks, Knitting Needles and accessories. Which is better: knitting or crochet? Why? You must “like” both the AllFreeCrochet Facebook and the Simplicity Facebook pages to be eligible. You have until tonight, March 10th, 2014 at 11:59p EST to leave your comment on this post. Comments posted after that will not be counted. 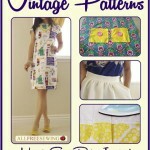 This guest post was written by Kathryn Vercillo AKA CrochetBlogger. I learned how to crochet a couple of years ago. Since then, I have obviously learned numerous tricks, techniques and tips about crocheting. But what I have learned the most is that the lessons that you can learn from crochet work are lessons that are bigger than the craft itself. This became clear recently when I completed my first crochet dress that didn’t use a pattern. People assume that you know more than you do. Anyone who heard that I was making my first pattern-free crochet dress assumed that I had made many pattern-based dresses in the past. Confession: I’d made only one and the free crochet pattern had gotten so confusing that I adapted it anyway. Rules are merely guidelines. I actually started off using a basic pattern for a halter top to form the top of my crochet dress. I didn’t swatch for gauge and ended up with a top that would have exposed far more than my mediocre crochet skills. Instead of wishing that I’d followed the rules and done my swatching, I took a creative approach to adapting the pattern to make it fit properly. I followed most of the rules of the design, but not all of them, using them more as guidelines than strict regulations. I think this works for most crochet as well as many other things in life! Process and product are both important. I have found that most crocheters fall into one of two categories. There are process crocheters who tend to enjoy the work itself. These are the people who often have five or more projects going at once but don’t necessarily finish them. Then there are the product people who do one thing at a time to get an end product. I tend to be a product person and I’ll cut some corners to get the product I want. However, I really enjoyed the actual process of making this dress because it was challenging and creative. I think all crocheters can benefit from enjoying the process but appreciating the product. You are never too old to feel childlike pride. There are many flaws in this dress. It’s shorter than I’d like because I ran out of yarn and it’s foreign-bought yarn that I’m not sure how to replace. It’s not quite even in the back for some reason (I still don’t know why). But this is the first dress I have ever crocheted for myself and I want to show it off to the whole world. 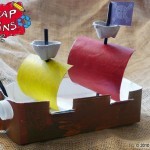 There is joy in creation – and I think that is the best lesson any crafter can take away from a crafting experience! Kathryn Vercillo is a professional blogger who has a passion for crochet. She writes the blog Crochet Concupiscence, which covers daily crochet news, quotes, inspiration, fashion, books and artists.